HOUSTON, TEXAS (June 26, 2011) Tickets for the 2011 Dynamo Charities Cup, which pits the Houston Dynamo against English Premier League club Bolton Wanderers are on sale at HoustonDynamo.com and Ticketmaster.com. The third annual charity match, dubbed as the “TransAtlantic Challenge” this time around, marks the Dynamo’s first-ever game against European opposition. The contest will be taking place on Wednesday, July 20, at Robertson Stadium. Bolton Wanderers were founded in 1874 and were founding members of the Football League in 1888. Last season, the club reached the semifinals of the prestigious FA Cup in England, a tournament they have won four times in their history. The 2010-11 season marked the 10th consecutive year Bolton have competed in the English Premier League. The Dynamo and Wanderers are connected by Houston resident Stuart Holden, who played for the Dynamo from 2006-09 before joining Bolton early in 2010. The Dynamo Charities Cup is an annual friendly match pitting the Dynamo against an international opponent, with a portion of the match’s proceeds donated to charity. In 2009, Houston beat Mexican club Monterrey 2-1, with proceeds benefitting Dynamo Charities. Last year, the Dynamo beat Aguila from El Salvador 4-0, with proceeds benefitting victims of the oil spill in the Gulf of Mexico. WASHINGTON, D.C. (June 25, 2011) The Houston Dynamo twice rallied from a one-goal deficit and used a dramatic 89th-minute goal from captain Brian Ching to pull out a 2-2 road tie against D.C. United on Saturday and take the season series from their Eastern Conference rival. Ching, making just his second start of the season, headed in a cross from Colin Clark as Houston earned its fifth tie in eight road games. Ching had also set up Houstons first goal by drawing a penalty kick. The Dynamo are now unbeaten in their last five games (4-0-1) against D.C. United and lead the all-time series 9-3-2. Houston won the season series with a 1-0-1 record thanks to a 4-1 win over D.C. on April 29. D.C. United took the lead in the 31st minute, when Josh Wolff teed up Chris Pontius for a shot from outside the penalty area, and Pontius drove a right-footed shot inside the left post for his fifth goal of the season. The Dynamo tied the game shortly before halftime when Je-Vaughn Watson set up Brian Ching in the penalty area, and Ching was tripped up by D.C. United goalkeeper Bill Hamid. Brad Davis stepped up to the resulting penalty kick and drove it into the lower right corner for his second goal of the season, both from the spot. The teams traded chances late in the first half, with Houston rookie Kofi Sarkodie clearing a shot off the goal line, before the Dynamo took over early in the second half. D.C. United goalkeeper Bill Hamid had to make four saves in the first 25 minutes of the second half, including tipping a Danny Cruz shot against the crossbar. Cruz also came close to giving Houston the lead when he hit the outside of the post from a Colin Clark cross in the 64th minute. Against the run of play, D.C. United took the lead in the 73rd minute. Midfielder Andy Najar dribbled the end line into the six-yard box, and when the Dynamo knocked the ball away from him, it deflected right to D.C. forward Charlie Davies, who snapped the ball into the empty net for his eighth goal of the season, tied for the league lead. Having used substitutions on injury (Brad Davis) and illness (Corey Ashe), the Dynamo went to three forwards over the final 12 minutes with the introduction of Cam Weaver, and the teams pressure finally paid off in the 89th minute. Brian Ching held the ball up in his own half of the field and fed it to Geoff Cameron streaking through the midfield. Cameron raced into the attacking half and passed to Colin Clark on the left, and Clark chipped a cross to the penalty spot, where Ching arrived to head it into the net with the help of a deflection to tie the game. The tying goal was the third time this season the Dynamo have tied the game in the final 15 minutes (April 23 at Chicago, May 28 vs. FC Dallas) and, combined with the goal late in the first half, gives Houston a league-high 13 goals in the final 15 minutes of either the first or second half. Forward Brian Ching made just his second start of the season due to injury and his first since the Dynamos April 2 match against the New York Red Bulls. His 90 minutes were a season high, and he factored in both Houston goals. The Dynamo made five changes from last weeks lineup, including the third MLS appearances of the season for defenders Kofi Sarkodie and Jermaine Taylor and the fourth start of the year for midfielder Je-Vaughn Watson. Taylor and Watson played their first games after returning from national team duty with Jamaica. For their Dynamo careers in all competitions, several players made milestone appearances, including: midfielder Brad Davis (180th appearance), defender Corey Ashe (150th appearance), midfielder Geoff Cameron (110th appearance), defender Andre Hainault (75th appearance), and forward Cam Weaver (50th appearance). The Dynamo played without forward Calen Carr (concussion); midfielder Lovel Palmer (red card); and defender Eddie Robinson (MCL sprain). Clint Dempsey and Landon Donovan embrace after the goal that gave the USA a 1-0 victory over Panama. Photo by Darla Tamulitis, La Vita Loca Photography, Copyright 2011, All Rights Reserved. HOUSTON, TEXAS (June 22, 2011) After an uninspiring 75 minutes of play at Reliant Stadium, the USA scored in the 76 minute to give the USA a 1-0 win over Panama in the first semi-final game of CONCACAF Gold Cup 2011. The USA’s Clint Dempsey was advancing on the goal when Landon Donovan fed him a pass from the right side. Most of the game was relatively uninspiring, with the USA five shots on goal and Panama attempting eight. Fouls were abundant during the game with the whistle sounding 21 times against the United States. Panama was cited 10 times for fouls. The best action up to the start of the second half was a half naked fan running across the playing field of Reliant Stadium, waving his shirt to the soccer aficionados before security removed him. He was handed over to Houston police and headed for a suspected night in jail. It was a good thing the half of him that was naked was his upper torso; as it may have made a rough night in the lockup if he had been naked below the waist. The offense of both teams looks sluggish and it appears the USA is trying to come back from their earlier loss to Panama 2-1 in Group C action. Both teams seemed uninspired with lackluster play and locus seeming to be lacking. It was obvious, at least to any person who is remotely knowledgeable about soccer that one or possibly both teams were wishing the game would be over. A small scuffle occurred in extra time, when USA's Jermaine Jones took a foot to the face; delivered by Panama's Luis Renteria. Several USA players jumped to Jones' defense and care, which prompted a small shoving match between various USA players and Renteria. The officials quickly intervened and no cards were issued. The USA now advances to the finals to play the winner of the Mexico-Honduras. The "Half Naked" fan is apprehended by Reliant Stadium security before being handed over to Houston Police. Photo by Darla Tamulitis, La Vita Loca Photography, Copyright 2011, All Rights Reserved. If the Red, White, and Blue hope to win the championship of Gold Cup 2011, they had better play with more intensity and focus that they did against Panama. If not, they will earn their second loss in Gold Cup 2011 play in two weeks. That would not bode well for the players and coaches alike. HOUSTON, TEXAS (June 22, 2011) Former University of Houston catcher Chris Wallace and shortstop Blake Kelso will play in the South Atlantic League All-Star Game at 7:30 p.m. April 21 at Arthur W. Perdue Stadium in Salisbury, Md. In addition to playing in the All-Star game, Wallace is one of 10 players that will compete in the 2011 BB&T Home Run Derby. Wallace, who plays for the Lexington Legends, will play for the South Division, while Kelso, of the Hagerstown Suns, willrepresent the North Division. Players are chosen through voting by managers, coaches, front office executives, media and fans. Wallace ranks second in the league standings with 14 home runs and fourth with 49 RBIs. He opened the season with a 12-game hitting streak and went on to be named the SAL Player of the Week. He also hit three home runs with nine RBIs against Asheville on April 17. This is the second All-Star game for Wallace since he was drafted by the Houston Astros in the 16th round of the 2010 MLB Draft. Last season, he played in the Appalachian League All-Star game with the Greenville Astros. Wallace spent four seasons behind the plate for Houston posting a career .291 batting average. He was selected to the All-Conference USA Second Team in 2009 and led the Cougars with 10 home runs as a senior. Kelso will start at third base in the All-Star game and ranks fifth in the league with a .404 batting average. He also has 12 doubles, one triple and two home runs. After being drafted by the Washington Nationals in the 10th round of the 2010 MLB Draft, Kelso began his professional career with the Vermont Lake Monsters of the New York-Penn League where he was named a mid-season All-Star. Kelso was a staple in the Cougar infield,making 181 consecutive starts at shortstop. He finished his three-year career at UH with a .319 batting average, 41 doubles, 11 triples and eight home runs. He is also the school record holder with 588 assists. In addition to Wallace and Kelso playing in the SAL All-Star Game, former pitcher Michael Goodnight will play for the Eastern Division in the Midwest League All-Star game Tuesday. The game willstart at 6 p.m. at the Quad Cities’ Modern Woodmen Park. Goodnight leads the Lake County Captains with a 5-5 record and a 3.04 ERA. He has pitched a team high 71 innings, allowing 24 earned runs on 49 hits with 65 strikeouts. He was drafted by the Cleveland Indians in the 13th round of the 2010 MLB Draft. A two-year letterwinner for the Cougars, Goodnight made 16 starts as a sophomore posting a 4.96 ERA with 148 strikeouts. He was named to the C-USA All-Freshman Team in 2009. FRISCO, TEXAS (June 21, 2011) Texas A&M-Corpus Christi junior Hannah Schwarz has been named the Southland Conference Softball Student-Athlete of the Year, the league office announced Tuesday in conjunction with the release of the All-Academic Softball Teams. Schwarz, a native of Kerrville, Texas, carries a 4.00 grade-point average in interdisciplinary studies and is the first softball student-athlete of the year from A&M-Corpus Christi in school history. Schwarz capped off her junior year by being named first-team Academic All-Region VI and was named third-team Academic All-America by CoSIDA. For the second consecutive year she was a first-team All-Southland and all-region pick after batting .345 while starting 58 of her 59 games. She scored a league-high 40 runs while collecting the second-most hits in the conference with 67. She tallied 14 RBI on the season, drew 12 walks and stole nine bases while collecting seven sacrifice hits. In addition to her athletic achievements, Schwarz was named the Steve McCarty Citizenship Award winner by the Southland Conference and earned A&M–Corpus Christi’s Lee Denmon Award that is given to the athlete for service to the community. Nine student-athletes make a return appearance to the all-academic teams, including McNeese State senior Lindsey Langner, Southeastern Louisiana graduate Katie Duhe and Texas State senior Jenna Emery, who are making their third consecutive showing. Nine members received automatic selections by virtue of being either a first-team all-conference selection or voted to the CoSIDA academic all-district team. Seven student-athletes were selected to the CoSIDA Academic All-District VI Team. Duhe, Central Arkansas junior Katie McGregor and Schwarz received first-team merits while Central Arkansas sophomore Melanie Bryant, Northwestern State junior Kelee Grimes and A&M-Corpus Christi seniors Lauren Dodson and Caley Jeter were selected to the second-team. UT Arlington senior Rebecca Collom was named first-team all-conference, rounding out the nine automatic selections. Texas State led all league teams with one first and three second-team all-academic selections for four members overall. Central Arkansas, McNeese State, Southeastern Louisiana and A&M-Corpus Christi had three while Northwestern State, Sam Houston State and UT Arlington had two. Nicholls and Stephen F. Austin had one each. Established in the 2002-03 academic year, the conference honors one student-athlete from each of the 17 championship sports who achieves excellence in academics, athletics and community/campus service. The student-athlete of the year, selected by the league’s awards committee, will have attained athletics achievement for at least two years at the nominating institution, possess at least a 3.20 cumulative GPA and demonstrated extracurricular service at her campus and or community. The all-academic teams are voted on by the head coaches, sports information directors and academic/compliance administrators from each Southland university. Student-athletes must possess a 3.0 cumulative GPA, have completed one full academic year at the nominating institution and participated in at least 50 percent of the team’s competition to qualify for the all-academic squad. HOUSTON, TEXAS (June 21, 2011) The semifinal doubleheader for the 2011 Gold Cup at Reliant Stadium is a complete sellout, organizers announced today. It marks the seventh sellout of the tournament, with previous full houses at Cowboys Stadium, Soldier Field, Red Bull Arena and LIVESTRONG Sporting Park, New Meadowlands Stadium and RFK Stadium. Tickets will not be available at the stadium box office on game day. Those without tickets should not approach the stadium area on game day to avoid unnecessary delays, as tickets will not be on sale. The matches will be televised live in English on FOX Soccer and in Spanish on the Univision family of networks. They will also be broadcast locally on radio in English on Sports 790 AM and in Spanish by Fútbol de Primera on La Ranchera 850 AM. Fans attending the doubleheader between the United States and Panama, and Mexico vs. Honduras, are urged to arrive at the stadium early to avoid traffic and long lines, and enjoy Futbol Fiesta, a 120,000 sq. ft. interactive fan area featuring live entertainment, sponsor booths and giveaways. Futbol Fiesta will open at 3:00 p.m. CDT in the Blue Lot on the south end of the stadium. Fans are encouraged to use public transportation such as the METRORail line, which stops along Fannin St. near the Reliant Astrodome. Stadium parking lots will open at 2:00 p.m. CDT. All parking is cash-only, and all non-premium lots are $20 per vehicle. 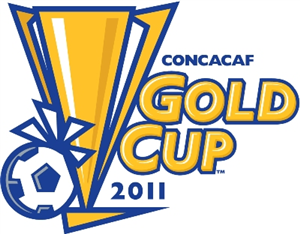 Tickets for the grand final of the 2011 CONCACAF Gold Cup on June 25 in Pasadena are still available by visiting www.goldcup.org. The Rose Bowl ticket office will be open daily Monday through Saturday from 10 a.m. to 6 p.m. local. The 2011 Gold Cup champion and CONCACAF representative to the 2013 FIFA Confederations Cup in Brazil will be crowned on Saturday, June 25 at the historic Rose Bowl in Pasadena, California. SANTA CLARA, CALIFORNIA (June 20, 2011) Ariana Kukors (Auburn, Wash.) turned in the world’s fastest time of the year in the 200m IM on the final day of competition at the 2011 Santa Clara International Grand Prix. Michael Phelps (Baltimore, Md.) picked up his fourth medal of the meet Sunday night while Missy Franklin (Centennial, Colo.) was named the champion of the 2010-2011 USA Swimming Grand Prix Series. In addition to Franklin’s win as the Grand Prix Series Champion, she also took home the meet’s high-point award for female swimmers in Santa Clara. Ryan Lochte (Daytona Beach, Fla.) was named the high-point award winner on the men’s side. Franklin will be presented with the Grand Prix Series trophy at USA Swimming ConocoPhillips National Championship which will take place August 2-6 in Palo Alto, Calif. As a high school student with collegiate eligibility, Franklin is unable to receive the Grand Prix Series prize money. In the 200m IM, Kukors broke her own meet record set in 2009 by swimming a 2:09.53. Her time was also the fastest time in the 200m IM this year. Stephanie Rice from Australia took the silver medal by swimming a 2:11.39 and Caitlin Leverenz (Tucson, Ariz.) won the bronze with a 2:13.24. Kathleen Hersey (Atlanta, Ga.) set a meet record in the first event of the night, the women’s 200m fly. Her time of 2:06.89 was nearly a second faster than the old record set by Mary Descenza in 2008. Stephanie Rice from Australia had the second fastest time at 2:07.54 and 2008 Olympian Elaine Breeden (Lexington, Ky.) placed third with a 2:08.14. Phelps and Nicholas D’Arcy from Australia were neck-and-neck in the men’s 200m butterfly but in the end, D’Arcy touched the wall first by one-one hundredth of a second in 1:55.39. Phelps finished in 1:55.40 and Robert Bollier (Mission Hills, Kan.) came in third at 1:57.92. In the women’s 100m breaststroke, Jessica Hardy (Long Beach, Calif.) took home the gold medal with a 1:07.45. Ashley Wanland (Long Grove, Ill.) beat out Amanda Beard (Irvine, Calif.) for second place with a time of 1:09.25. Beard finished in 1:09.46. During morning prelims Sunday, Rebecca Soni (Plainsboro, N.J.) swam the fastest time of the day, setting a meet record with a time of 1:05.83. Soni opted to not swim in Sunday’s finals. In the women’s 100m back, Australia’s Emily Seebohm swam the fifth fastest time in the world this year with a 59.77. Franklin finished second to Seebohm in 59.98 while fellow Australian Meagen Nay swam a 1:00.96 for third. Daniel Bell from New Zealand had a strong showing in the men’s 100m backstroke. His time of 54.70 beat Lochte’s 55.22 and Eugene Godsoe’s (Greensboro, N.C) 55.63. Lochte and Godsoe finished second and third, respectively. Thiago Pereira from Brazil broke the third meet record of the night with a time of 1:57.63. The victory was Pereira’s second of the four-day meet. Lochte came into the wall next at 1:58.99 and Conor Dwyer (Winnetka, Ill.) finished third at 2:01.88. In the women’s 800m free, Wendy Trott of South Africa finished first with a time of 8:32.27. Camryne Morris (Baltimore, Md.) was second in 8:35.14. Alexa Komarnycky of Canada finished third in 8:35.27. The men’s 1500m free was won by Michael McBroom in 15:23.43. Jackson Wilcox (Hixson, Tenn.) finished second in 15:32.11 and Mark Randall was third in 15:33.07. The Santa Clara International Grand Prix was the seventh and final stop of the 2010-2011 USA Swimming Grand Prix Series. HOUSTON, TEXAS (June 18, 2011)Coming off a successful trip to the west coast by defeating Chivas USA 2-1 on June 12, the Houston Dynamo were looking to begin a winning streak as they faced the Columbus Crew in a Saturday evening MLS game before 13,039 fans at Houston’s Robertson Stadium. The Crew’s Bernado Anor saw to it that the Dynamo got their sixth loss of the season, falling to a 4-6-6 record. Anor, in his first professional start, scored a goal and added an assist to give the Crew a 2-0 win and raise their record to of 5-4-6. With the win, the Crew takes sole possession of third place in the Eastern Division while the Dynamo falls to fourth place. The Crew got on the scoreboard in the 41st minute when forward Andres Mendoza got a pass from Anor at the top of the penalty area and kicked it in for the score and his fifth goal of the season. The assist was Anor’s first of the season. Anor got the ball from forward Justin Meram at the right side of the end line, firing the ball at the goal, which was deflected by Dynamo goalkeeper Tally Hall. Anor got the rebound and fired it back for the score and his first professional goal. The Dynamo had a few bright moments but failed to connect with the goal on 12 tries. Midfielder Brad Davis made his 200th start of his MLS career while forward Brian Ching played in his 150th career game for the Dynamo. Palmer received his second yellow card of the game and was ejected in 52nd minute. The Dynamo will next face D.C United (4-5-5, 17 pts) on the road on June 26. They are currently in fifth place in the Eastern Division after their 1-1 tie with Real Salt Lake on Saturday night. PASADENA, TEXAS (June 5, 2011) With the college football season three months away, some teams will be trying to recover from a unsuccessful 2010 season and are hoping that 2011 will being them more glory on the gridiron. However, a few others will need a bit longer to get back into the mix and rise to the levels that they once achieved. The following are 12 teams that will use the 2011 season to get ready for the 2012 season. So without further ado, here is my list of "12 teams using 2011 to springboard into 2012."